CALGARY, Alberta -L-Acoustics announced the addition of FM Systems to its Certified Provider Distributors (CPD) and K1 partner network in addition to a continuing role as a Certified Provider for the rental market (CPr). In a continuing effort to support and strengthen its presence in the Canadian territories, L-Acoustics is pleased to announce that FM Systems has become one of the loudspeaker manufacturer’s newest Certified Provider Distributors (CPD) and K1 partner, in addition to the company’s continuing role as a Certified Provider for the rental market (CPr). FM Systems is headquartered in Calgary, Alberta with a secondary office in Edmonton, where the company was originally started in 1985. President and CEO Marlin Jones supervises 23 full-time employees and another 20 part-time/freelance staff who work across Canada and occasionally into the US. Having been an L-Acoustics CPr for more than a year, FM Systems has now made a substantial rental inventory investment in new K1, KS28 and LA-RAK II systems in tandem with its recent designation as a CPD. After successfully deploying K2 and Kara for over a year now, the addition of K1 was the next logical step in FM Systems’ plan for growth. Combined with the new LA12X platform, K1’s rider acceptability among top touring artists—including those performing on main stages at large festivals where maximum SPL per linear foot is essential—will allow FM Systems to satisfy A-list musicians coming to Canada as well as establish the company as a flagship L-Acoustics provider in North America. Each of the product ranges that FM Systems has purchased was chosen to fill a specific niche of its business—for example, Kara and Kiva are primarily for corporate clients, while K1 and K2 are for festivals and touring work. On the corporate side, FM works with several of Canada’s largest telecom companies as well as many special events and charities. 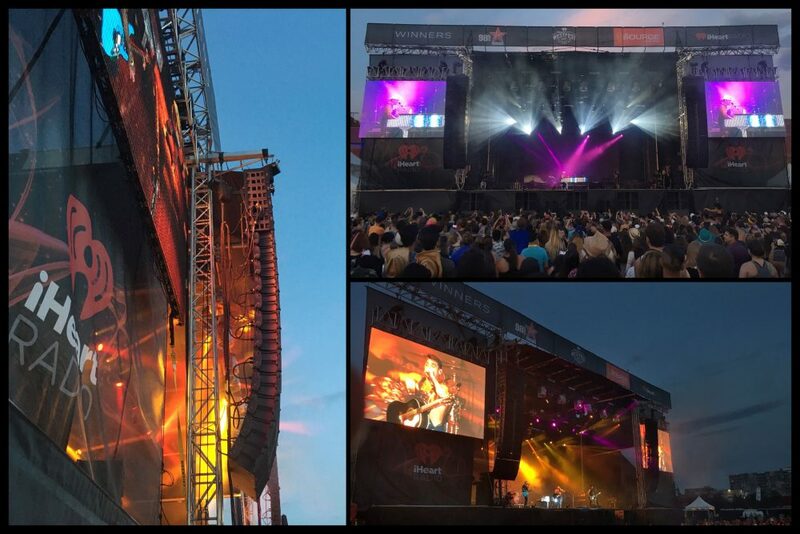 On the festival side, FM provides sound reinforcement for iHeart Music Festival Calgary, Chasing Summer, Stampede Concerts and many others.